Take advantage of the lessons learned during the busy Christmas season and prepare for next year’s in order to make it less chaotic. 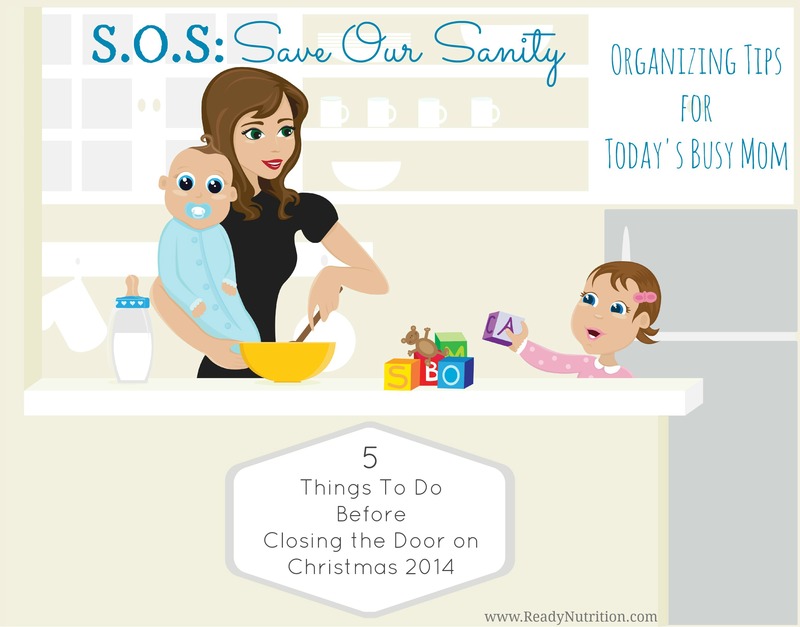 Use these 5 tips to prepare and stay organized. I don’t know about you, but my mind has already shifted to Valentine’s Day even though I am still surrounded by Christmas. Christmas is December 25th every year, but somehow it manages to sneak up on us; this is the time to get started on Christmas 2015. I am not asking you to spend your Christmas money on Christmas shopping right now. In fact, I am one of those people who don’t shop the day after Christmas or anytime in January because I am too exhausted. What I am asking you to do is to take advantage of what you have learned during the 2014 Christmas season in order to make next year’s Christmas a little more enjoyable. There is never enough savings. Every year I promise myself that I am going to start a Christmas savings plan, and every year I fail to do so, which causes the December budget to get really tight. This year I found the following savings plan from Stretching a Buck Blog while I was surfing Pinterest, and I made the commitment to make Christmas 2015 easier on my family by following it. I will even keep track of where I am, and feel free to hold me accountable if you see me slipping. If you like this Christmas Savings Plan, please visit the website. She has it in both PDF and Excel formats. If this plan doesn’t meet your family’s unique needs, feel free to search for more ideas on Pinterest. There were a plethora to choose from. You know what gifts your family and friends prefer. This year I found myself in a situation where I didn’t know how to shop for my new in-law family, and as a result, I gave Amazon gift cards. While I like gift cards, I wanted my gifts to be more personable. Christmas day I learned that my brother-in-law enjoys hunting and fishing, his daughters are huge fans of American Girl dolls, and my nephew likes to build computers. Knowing these preferences would have made gift giving more personable for me. My lesson and my tip for you is to capture what your friends and family like. Write it down in a notebook or a create a computer file, or use an index card system. Whatever you do, record it while it is still fresh in your mind. Plan your crafts now. If you like to make homemade craft items for your friends and family, start now. Go through your gift giving list and find those people who love crafts, pin the crafts that you would like to make, and assign a few gifts to said friends and family to complete each month. Doing this will ensure that you are not spending the last week of Christmas hot gluing your fingers together. I lived this nightmare this year. I had decided to make a beautiful wreath for my mother-in-law, and I spent the last few days before Christmas fastening ribbon to a wreath on car rides to and from holiday events. My Christmas outfits were covered in orange glitter because it was a Halloween wreath. In addition, my kids wanted to make crafts and it was a mad dash to the craft store to get all the supplies. Little did I know, that if I would have planned better, I could have ordered some of these kids crafts: button wreaths, snowman charm bracelet, or this beaded snowflake kit. So, remember my words: save yourself from the madness and plan now. Update your contacts. You just received 50 or more Christmas cards. Before you toss or put them away, sit down and update your address book. At the most, this task will take you 30 minutes to complete, but you will know your contact list is as up-to-date as it can be for January. It is inevitable that someone will move on you next year, but it is a lot easier updating one person instead of five or ten. This also works in reverse. If you know you are going to be relocating during the next year, these are the 50 or more people who want to know where you are going. Discuss your 2014 Christmas calendar with your family before planning Christmas 2015. This year was my first Christmas with my husband, and I wanted it to be special. We just welcomed a little girl to our family, and it was important for me to make sure his family traditions and my family traditions were a part of our Christmas. My family had a wonderful time, but we were on the road a lot. Christmas Eve through December 26th was spent driving to different relatives homes, and we live an hour away from most of them. As a result, we were late to every event, and by December 27th I was completely worn out. My lesson learned was to choose what Christmas events our family will attend next year now. Your relatives will have an entire year to get used to the idea that they will be on the 2016 Christmas event list. Tip: Select a Christmas savings plan that works with your family’s budget, and start saving now. Tip: Write down what you learned about your family and friends gift preferences. It will take the guess work out of gift giving next year. Tip: Chose what crafts you are going to make for friends and family and assign a specific set of crafts to complete each month. Tip: Use the Christmas cards you received to update your address book. Tip: Review last year’s holiday schedule with your family and decide what events you will attend in 2015.